Well, here we go again with yet another news site that claims to pay you for simply reading news articles and for referring others to the program as well. This is yet another brand new news website that has popped up recently and is targeting those who are making money online. This site is called Newssolid.com and I’m sorry to break it to you, but this site is yet another scam. Well, take a look at my honest Newssolid.com review to find out for yourself. Newssolid.com is a news website that claims to pay you $7-$9 per news article that you read. It also offers a very tempting affiliate program that promises to pay you $35 per every person that you refer to the program. 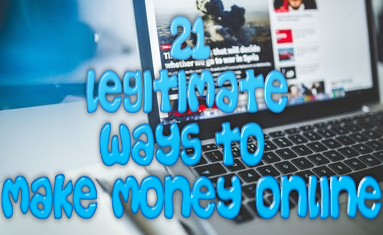 This website claims that using the affiliate program and by reading the news articles daily, you can easily make $200 a day or more. While this seems like the best online money making opportunity on the internet today, I wouldn’t get too excited. Like I said, this program is an absolute scam. How Is Newssolid.com A Scam? One of the main reasons that I know this site is a scam is just by the look of it. Newssolid looks IDENTICAL to other news sites that I have reviewed and guess what…they all turned out to be scams for one reason: they don’t pay out the money they promise to its members and affiliates. Look at all of the other sites that I have reviewed in the past and see if you can spot the difference. If you look closely at the website itself, you will see that the content upon it is not only inconsistent, but it is also poorly written. The website itself contains many grammatical errors and sentence structure that just doesn’t make sense. Also there are many inconsistencies with the content. For example the payout amount reads $1,400 on one page, but then when you look on the FAQ page it say payout is $2,400. On top of this the “news articles” that you read to make money are only about 2 to 3 sentences in length. I’m sorry, but I have been in marketing for a long time. I do not believe that it is THAT easy to make $7-$9 just by reading a few sentence. 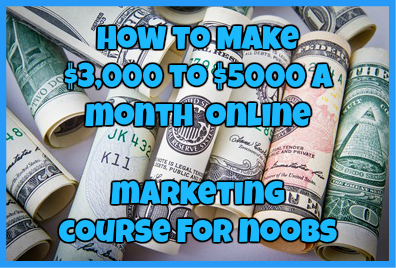 For those of you who have not made money online before need to understand a couple of things. When you make more than $600 a year online, you need to put in a tax ID number and fill out a tax sheet so you can pay the taxes you have to at the end of the year. The fact that newssolid doesn’t ask you for this information and only asks for the basic such as your name, email address and paypal email address is very questionable. This site doesn’t even ask you to fill out a tax Id or to give your physical address for tax purposes. This is a very questionable thing to do and indicates to me that this is a scam. No reputable affiliate company or even freelancing company would never not ask for this information from you. Just like with all of the other news sites I have reviewed in the past couple of months, this website is owned by the same person. This owner has been known already to create these various sites as a means to collect paypal addresses which he then can use to steal money from the bank account or credit cards that are linked to ones paypal (which all paypal accounts require to be done before you have access to your money). He has already done this with his other past sites and even Paypal has been alerted to these sites. This is something that I would definitely be wary of in the future, especially if you have already made an account. Look, I have reviewed nearly over 15 different news sites in the past 2 months that look all identical, contain the same content, and have yet to pay money owed to its members and affiliates. With that being said I know for a fact that Newssolid.com is a blatant Scam. You can refer people to this opportunity all you want, but you will not make a cent. You will not be paid the money you are due (even if you wait the 14 day period required) as none of the other sites have paid out either. For confirmation just head on over to my Youtube Channel to see what others have said about the other news sites out there. Just save yourself and avoid this site at all costs. Have you fallen victim of Newssolid.com? If so, I would love to hear from you! Just drop me a detailed comment below telling me about your experience. ← Done-news.com Review: When Are These News Sites Going To Die?! Please send me a review on this site, http://www.allnewsround .com.Is it a scam as well.Thank you. Not a problem. I will check it out right away and post a review here as well as my youtube channel 🙂 Thanks for giving me the heads up!